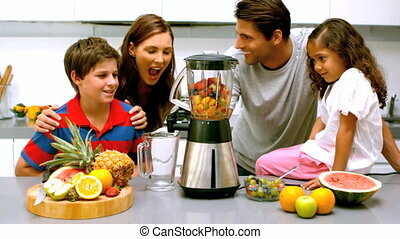 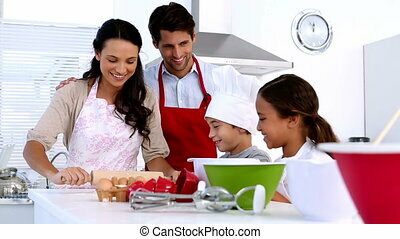 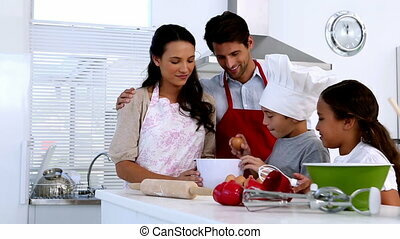 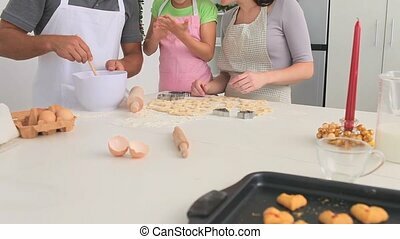 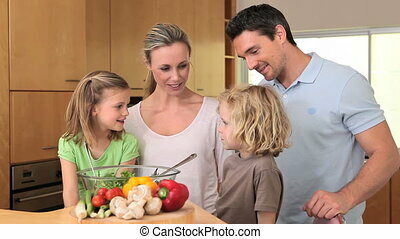 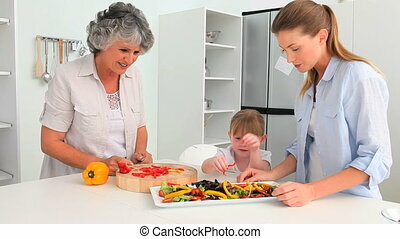 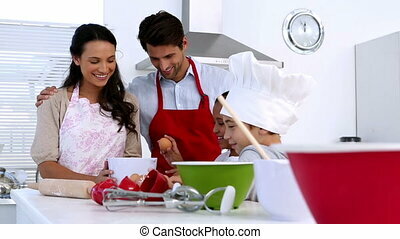 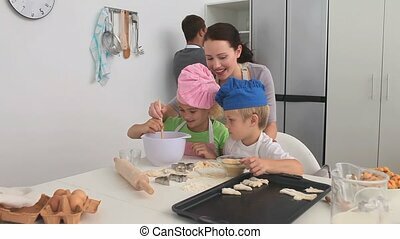 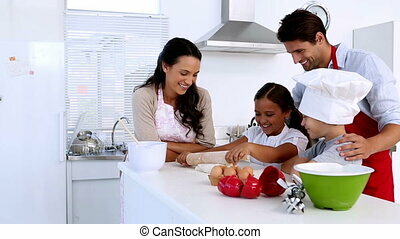 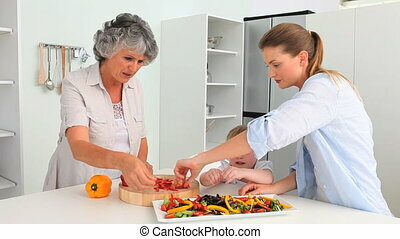 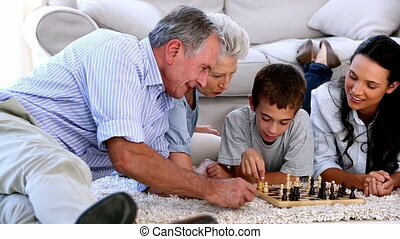 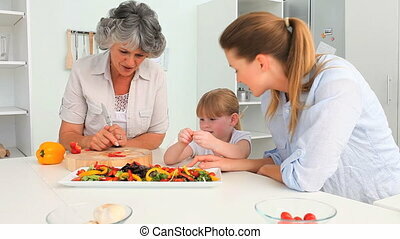 Family drawing together in the kitchen. 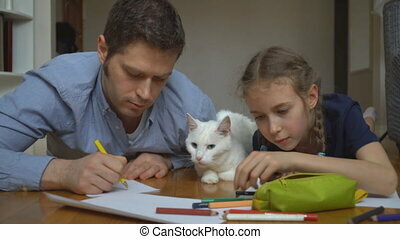 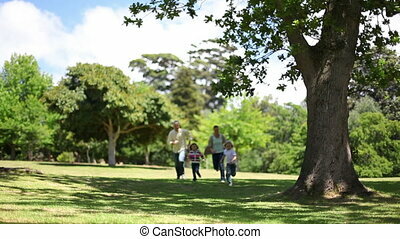 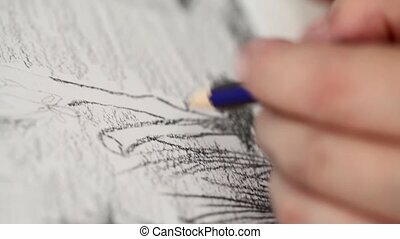 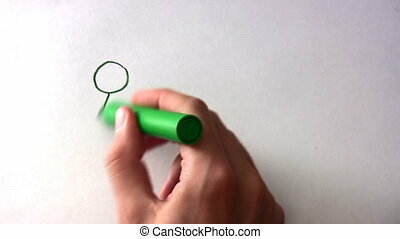 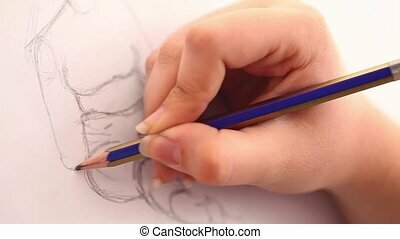 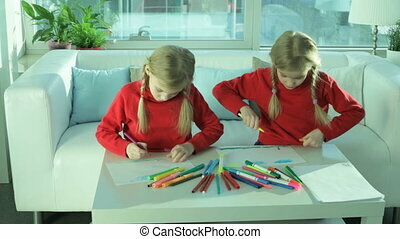 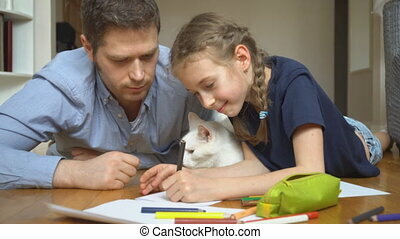 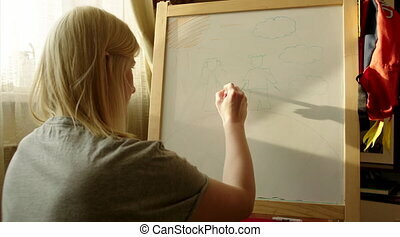 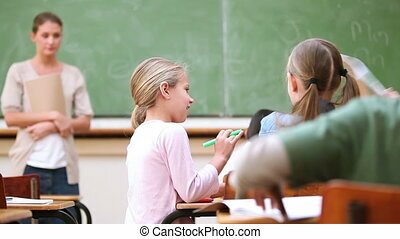 Young woman is drawing picture of a family on marker board. 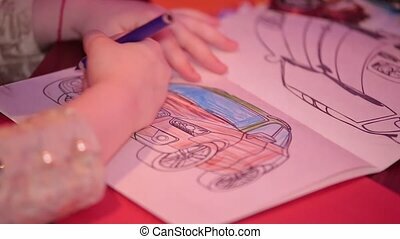 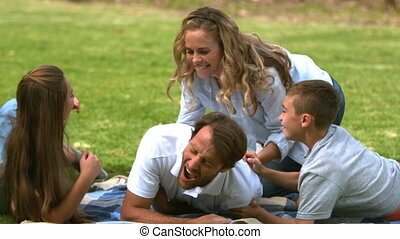 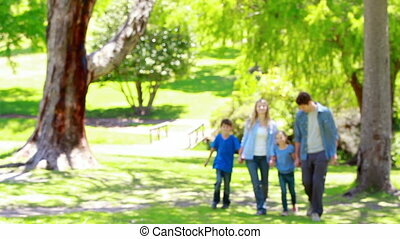 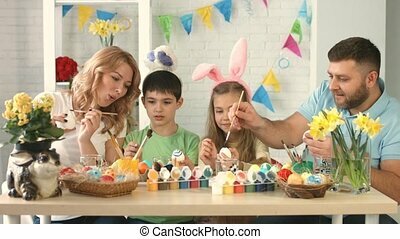 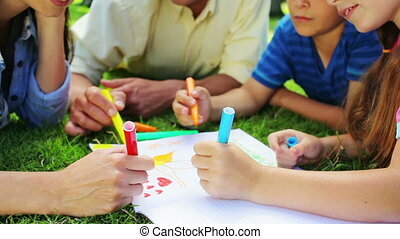 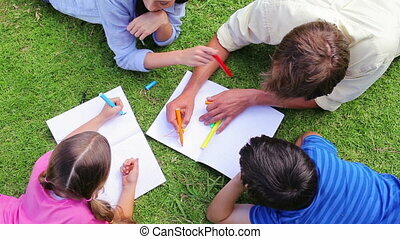 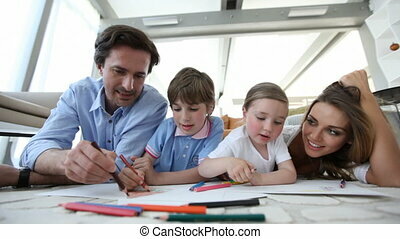 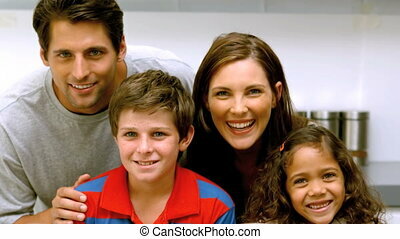 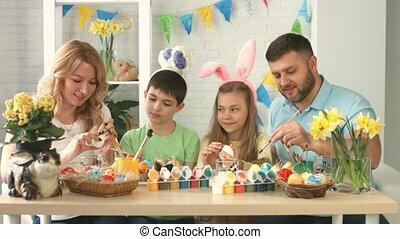 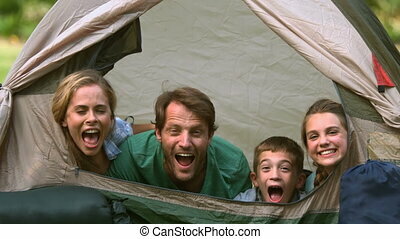 Happy family or Mother with cute children drawing with colorful pencils.